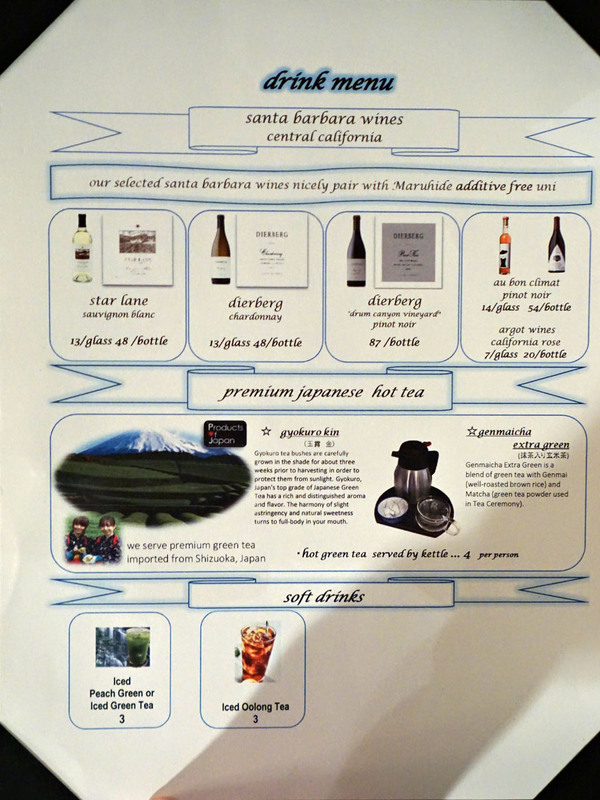 We were recently on the search for a place to dine in the South Bay, and ended up at Maruhide Uni Club, a place that I'd been curious about for a while now. 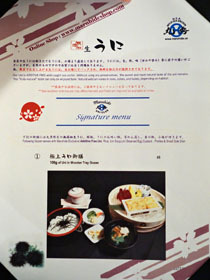 The restaurant is the retail front of Hideo Kawamura's Maruhide Marine Products, a wholesale company founded in 1975. MMP contracts local divers to harvest Santa Barbara red sea urchin (and other seafood), and processes the product at their west Long Beach facility for sale in the US as well as Asia. 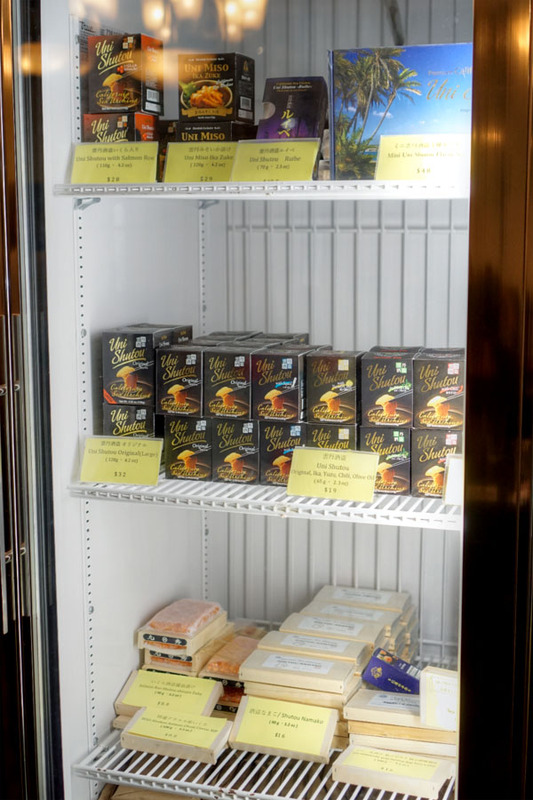 The Uni Club opened in 2012 selling product to-go, and started serving dinner around June 2013. The spot eventually became pretty popular, but closed in May 2016 apparently due to a health issue on the owner's part (though the retail component still remained). 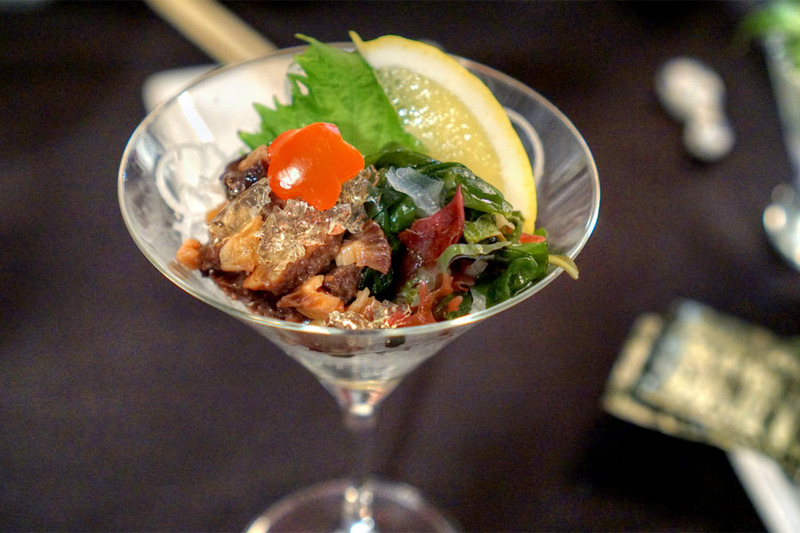 In January 2017, some former chefs started Miyabi Uni, a more upscale joint located further south in Torrance. Maruhide, meanwhile, did end up reopening at the end of June this year, albeit with a higher-end menu and higher prices to match. Maruhide sits at the center of the Cherry Plaza strip mall, in a spot once home to Mariscos El Salto. The space features a recurring uni motif, and is perhaps slightly tacky, but does the job. There's a bar off to one side, though it sat conspicuously unused this evening. 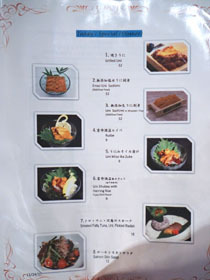 Maruhide's menu features a variety of gozen (set meals), as well as a number of other uni dishes and some further types of seafood. 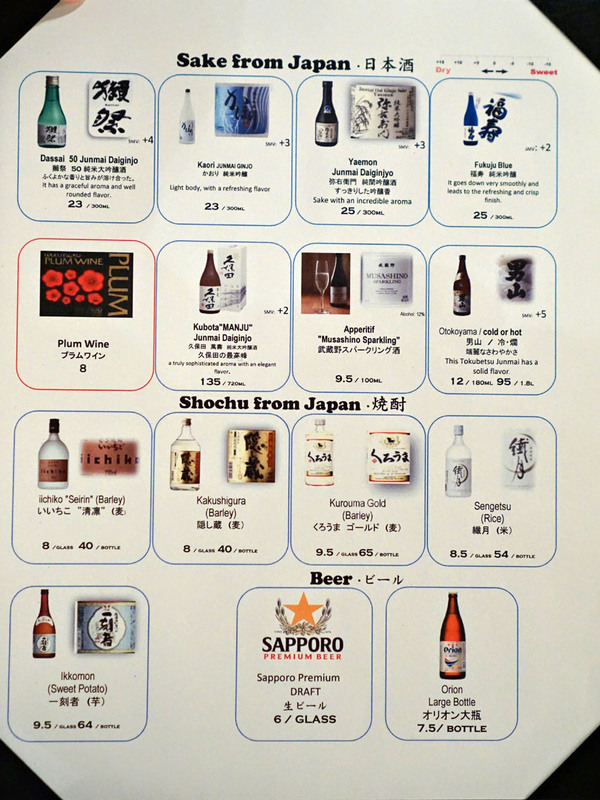 To drink, you get California wine, a small array of sakes and shochus, and a couple beers. Corkage was $20, and we were charged only once. Click for larger versions. 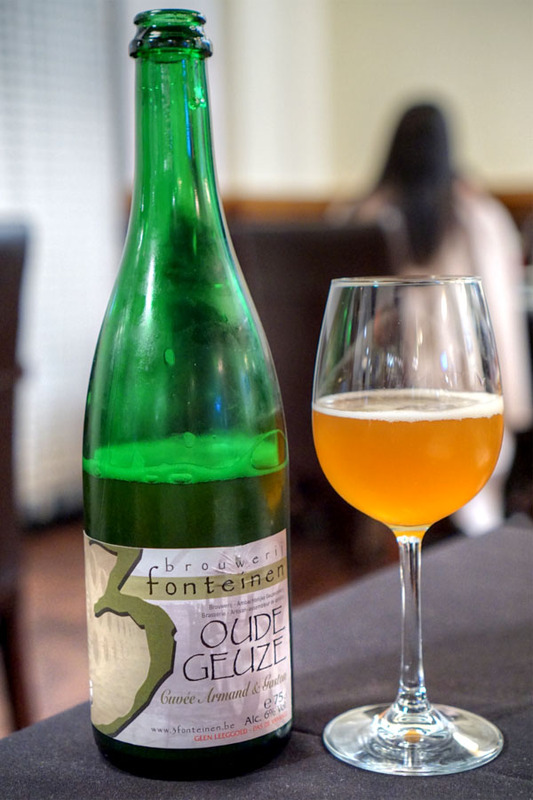 First to drink was the 2015 Drie Fonteinen Oude Geuze Cuvée Armand & Gaston, a blend of lambic brewed in-house in 2013, 2014, and 2015. The nose brought together a commingling of tart, musty, oaky qualities, with light apricot. The taste was expectedly sour, with grainy, grassy notes, mild barnyard, more stone fruit, and a slight metallic tinge. 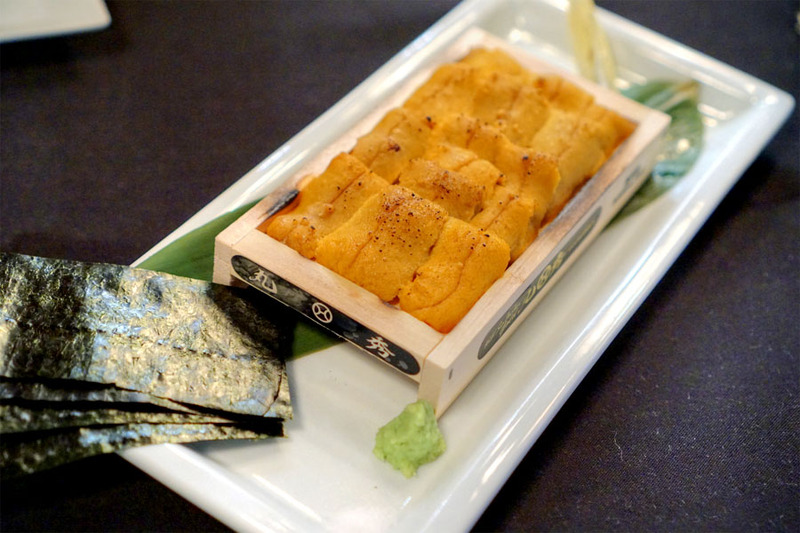 We began with a box of seared urchin, which smelled wonderful, its smokiness in full effect. The taste was just as appealing, highlighting the interplay between char savor and the inherently sweet, creamy nature of the roe. 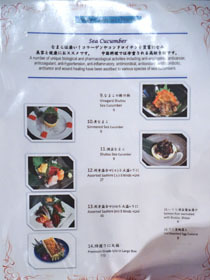 I loved the umami and crunch provided by the nori, while the wasabi added a punch of heat to the mix. Further accompaniments of lemon and salt worked too. 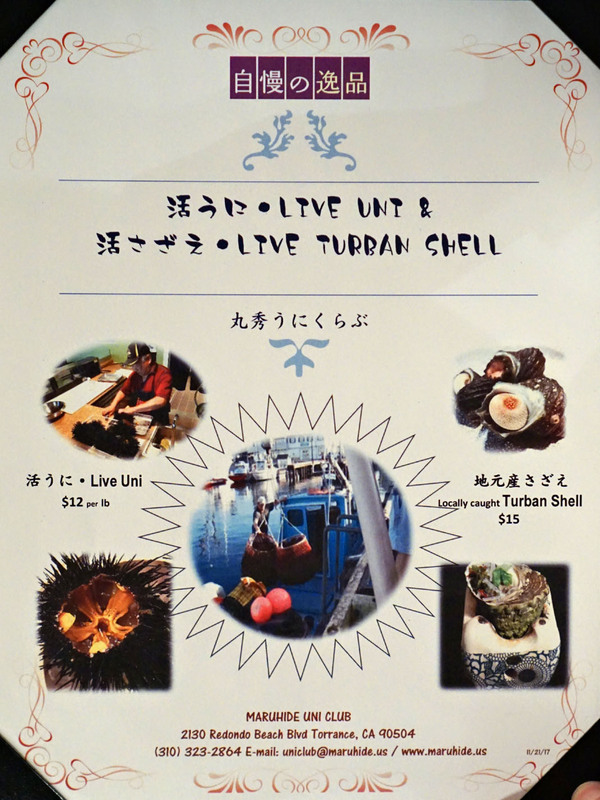 We went from grilled sea urchin to the opposite end of the temperature spectrum with the frozen uni shutou ruibe. The sweetness of the roe seemed to be emphasized, giving the dish an almost dessert-y quality, but there was still an ever-present savory edge. Texturally, think creamy, dense, substantial, with a slight icy grit. 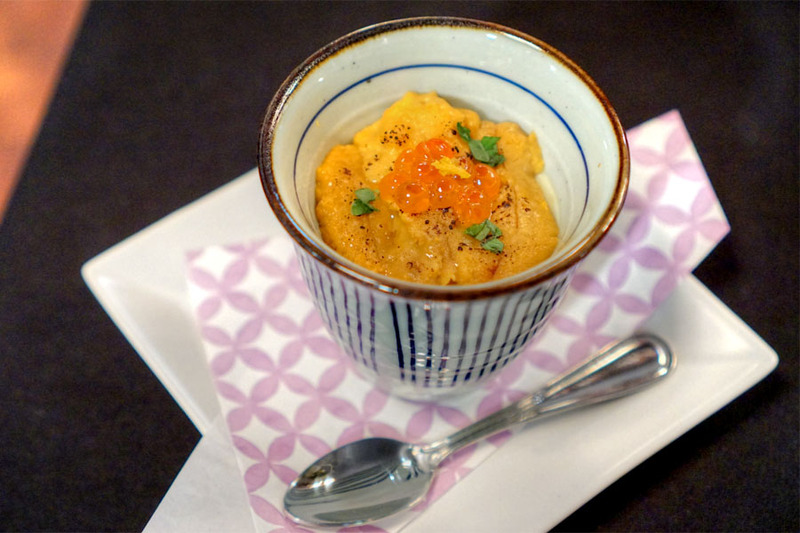 Chawanmushi was classic at its core: a slick, soft, eggy custard heightened by the uni while mushroom and salmon roe provided a counterbalancing smoky, woodsy element. 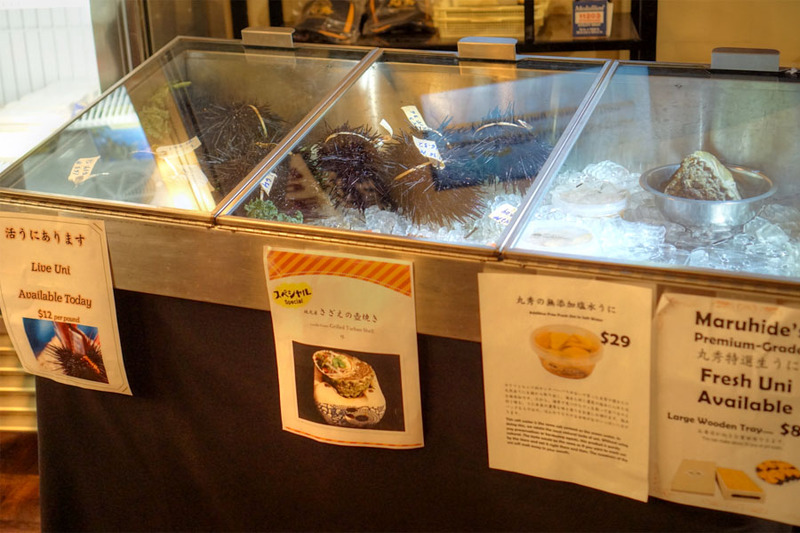 You'll find a cooler with products available to-go, while next to it sits a case featuring live uni. We took a break from uni with the namako sunomono. 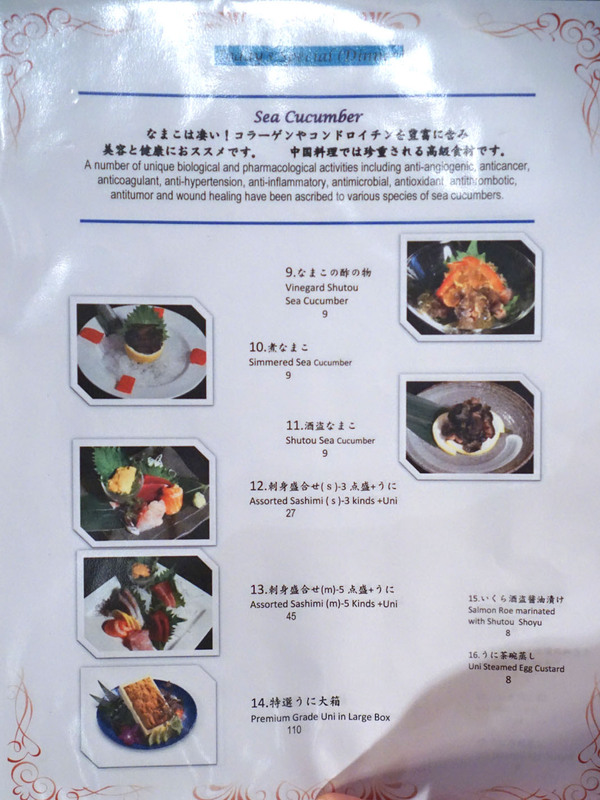 The sea cucumber ate soft, but with a snap, and was loaded with plenty of soy-fueled savoriness. I appreciated the contrast provided by the seaweed, and a squirt of lemon didn't hurt, either. Smoked tuna was dense, firm, meaty, with a good amount of smoke to pair with its naturally fishy, fatty character. 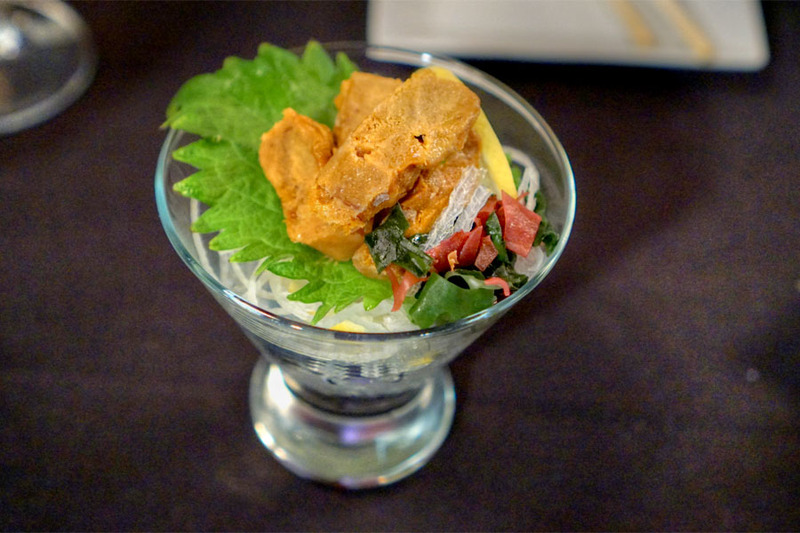 The uni also appeared to be smoked, and conveyed much more umami than usual, while its consistency was drier, more "crumbly" if you will. Meanwhile, the pickled radishes were substantial, their crunch and acidity working to even out all the strong flavors present. 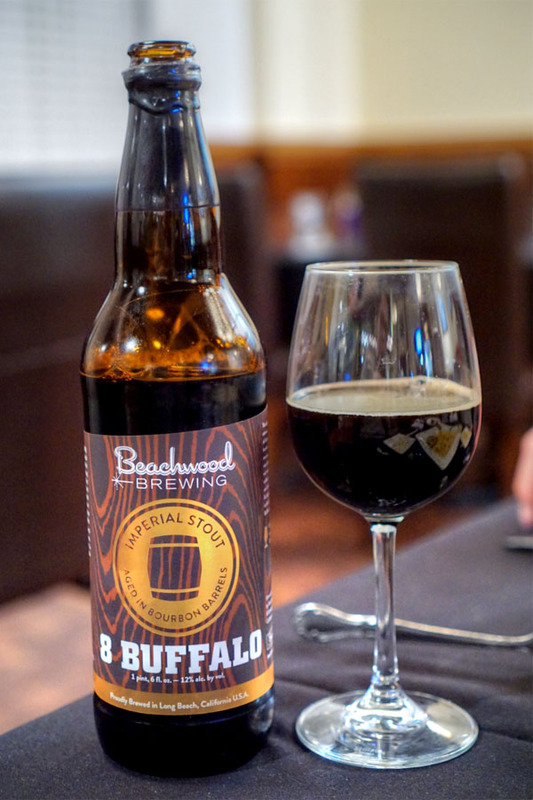 Our second beer, the 2014 Beachwood 8 Buffalo, went in a completely different direction: an imperial oatmeal stout aged in bourbon barrels for a year. I got sweet aromas of cocoa powder combined with dark, stewed fruit. The taste showcased oaky, malty influences along with plenty of sweet cocoa powder, toffee, and roasty coffee. 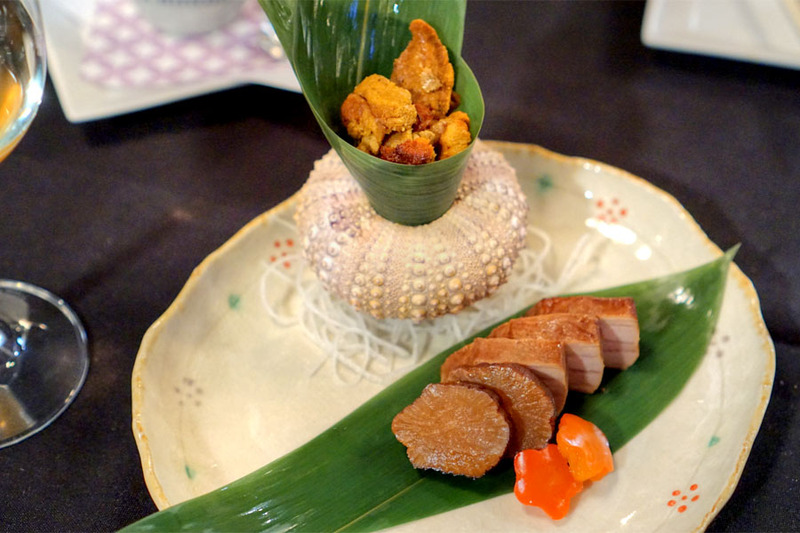 Next was a duo of shutou, which refers to sea urchin marinated with kombu-infused soy sauce. On the right was the Original, which really displayed the umami flavors imparted by the soy-kelp combination. At the same time though, the sweet, oceany essence of the urchin was still there, and it really worked as a topping to the provided bread. Even more enjoyable, though, was the Yuzu Chili. This one brought loads of bright yuzu as well as a creeping, growing heat that did a wonderful job complementing the uni. Naturally, we made to try the restaurant's signature pasta. 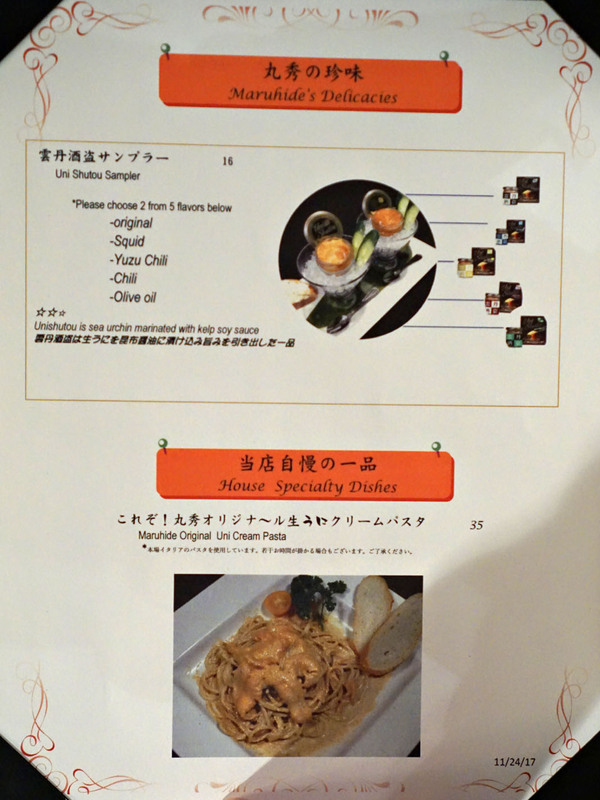 The dish certainly smelled the part, giving off aromas somewhat reminiscent of a maritime fettuccine Alfredo. 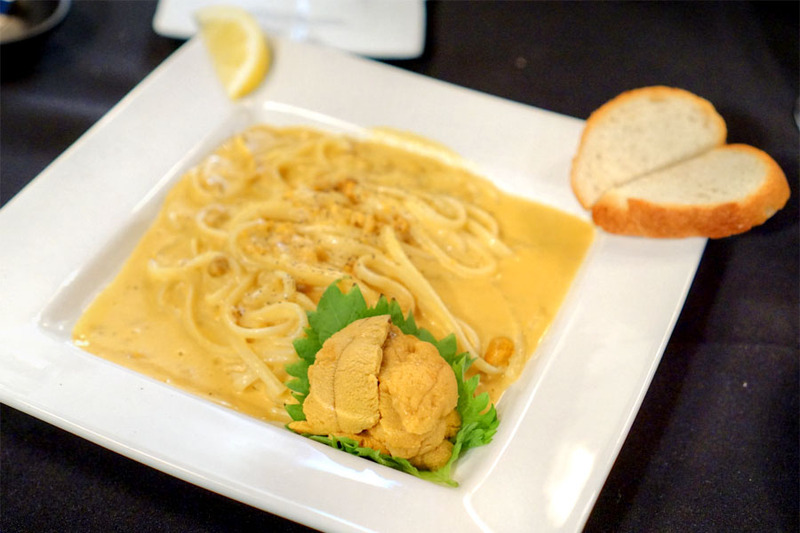 The richness of uni was well represented in the pasta's luxurious sauce, but fortunately a good dosing of pepper provided some semblance of balance. At the same time, the noodles weren't overcooked and still had a decent bite, which was appreciated. 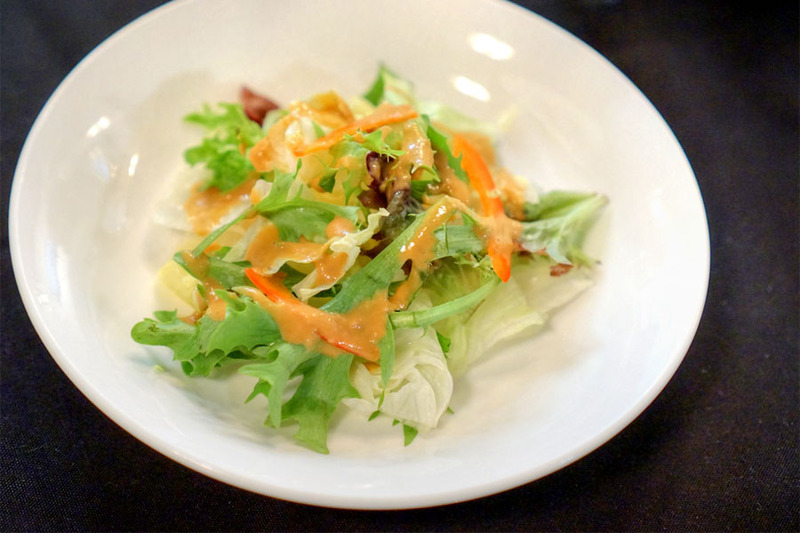 The course also came with a salad, laced, appropriately, with an uni-based dressing. 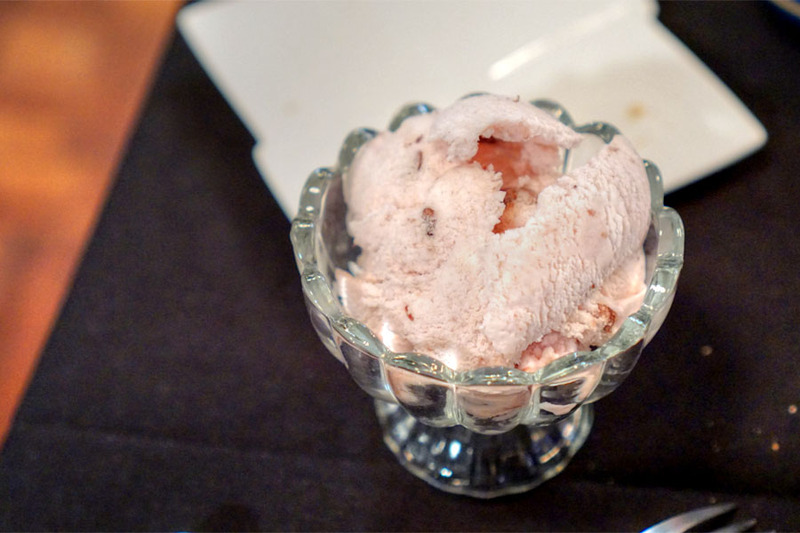 To close: a rather gritty scoop of ice cream, with relatively restrained azuki flavor. 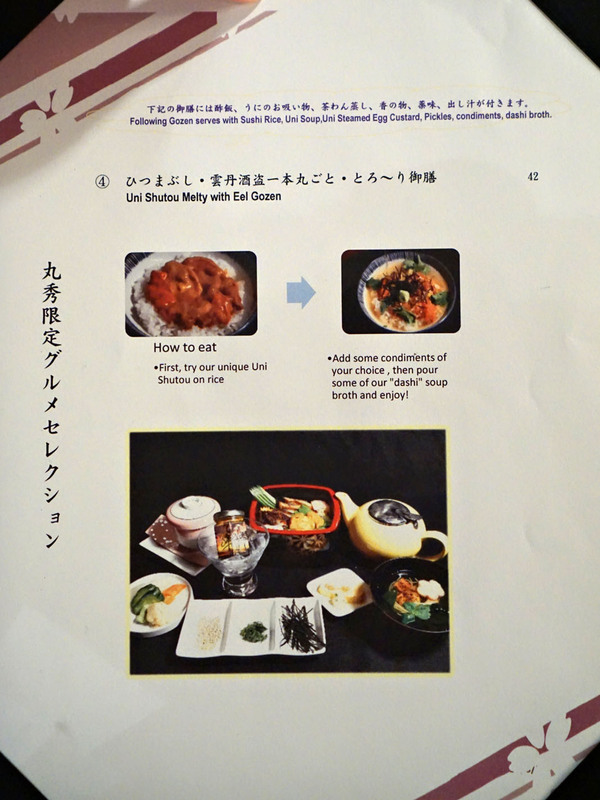 I came to Maruhide to experience uni in multiple formats, and that's exactly what I got. I can't say that the various preparations necessarily improve on the natural product, but they do provide different vehicles for enjoyment, and I like my variety. Definitely a place to check out for all you uni fiends out there (I know there are a lot of you). The dessert above didn't quite sate our need for the sweet stuff, so after dinner we headed over to -8°C Ice Cream inside Gardena's Pacific Square shopping center. 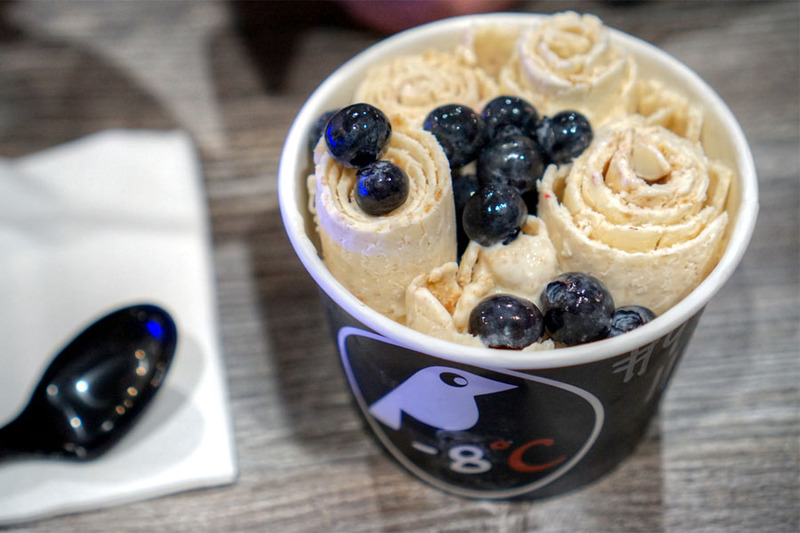 The place opened in December 2016, and features rolled ice cream, which is apparently a trend in Southeast Asia, Thailand in particular. The process basically involves pouring liquid ice cream batter onto a chilled metal base, which freezes it, and then rolling the resultant product into tight coils. We opted for the Key lime pie-inspired variant (with added blueberries), and it really did recall the classic pie, with lots of graham cracker crust to temper the tartness of lime. The rolling made for a novel texture, though that same texture made the dessert rather difficult to eat, as we had a couple instances of ice cream flying out of the bowl while we were trying to scoop it. Whales bro. We gotta reconnect once I make it back in town. We haven't hung out in a while. I don't think that the A&G is quite at that level. 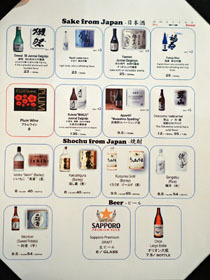 ;) See my last post for some beers that are more whale-ish. But in any case, feel free to email me before you return. Nice to see them re-open. I'd been to Miyabi Uni after the closure of Maruhide. Miyabi was really good. 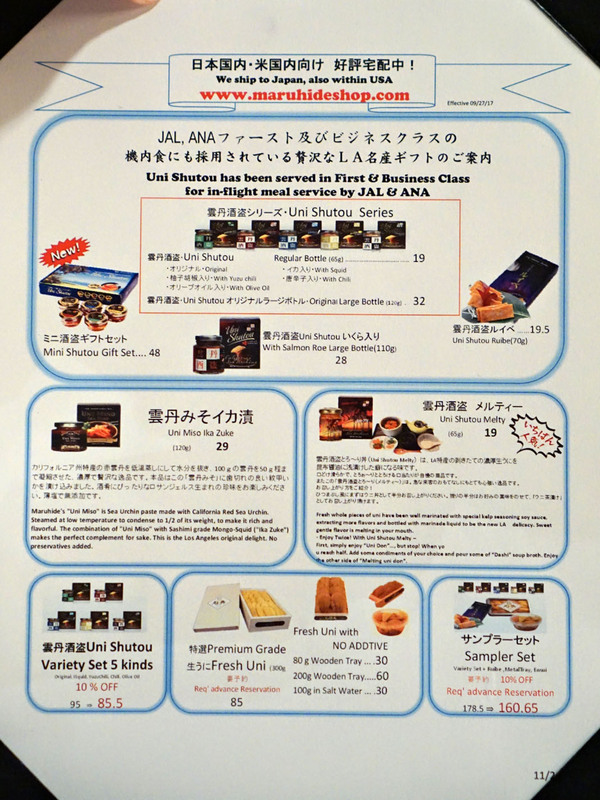 It's got a sushi bar. 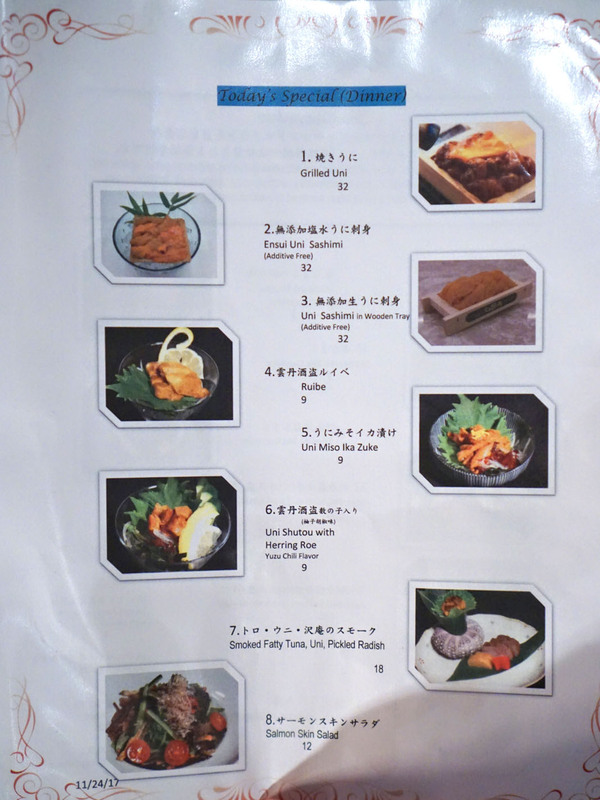 The menu is also a bit more expanded than Maruhide. 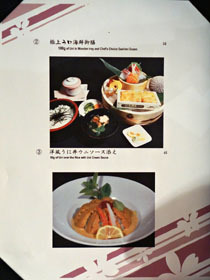 They serve an uni risotto with truffle oil and foie gras. 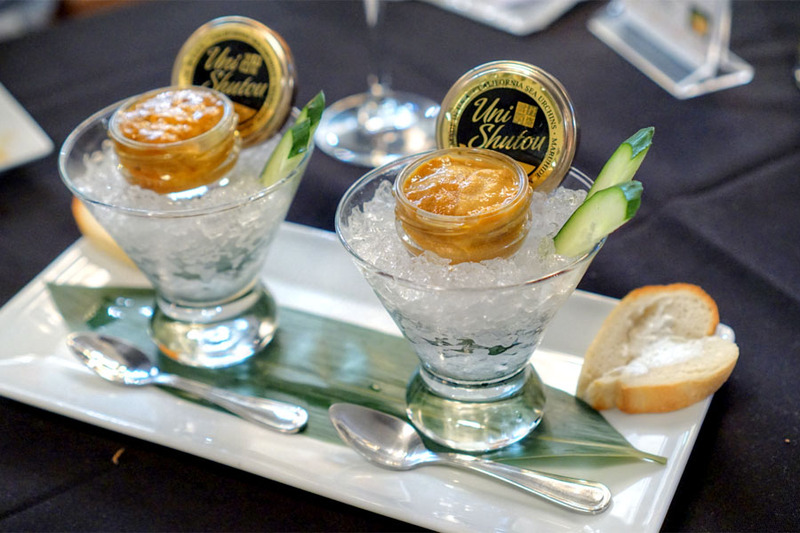 And uni shooters with raw egg yolk. Hope you give it a try sometime. 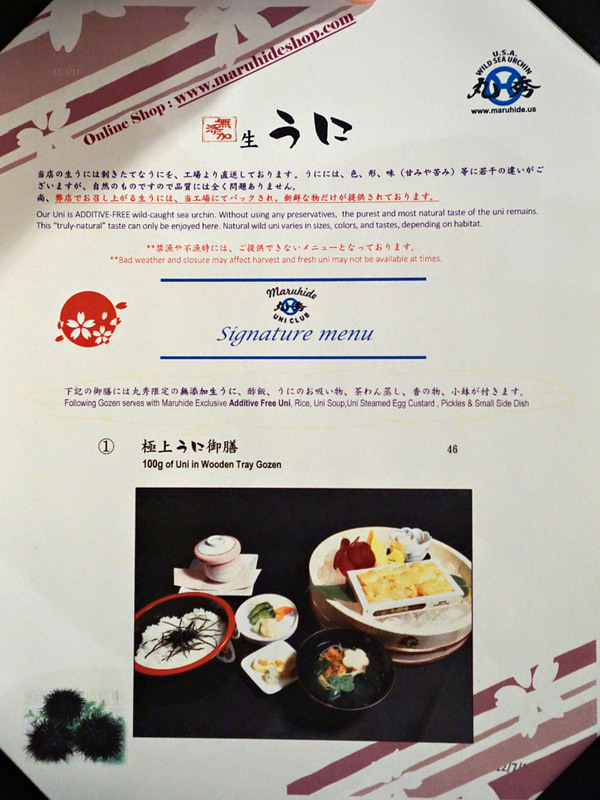 Yep I've visited Miyabi as well, though I didn't end up about posting about it. I agree that it's more varied, as well as higher-end compared to Maruhide.